Chairs and tables are necessary for an event similarly, chair cover and table cloth and linen are also essential for the decoration and grace of event. 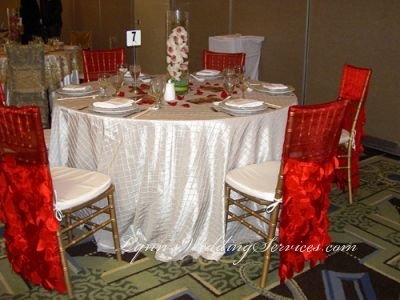 There is no need to buy chair covers and table cloth covers for events like wedding, birthday party or any other event because it would be heavily expensive buying table cloth covers, rather you have much economical option of hiring table cloth and linen covers rental to make your event successful and memorable without paying too much money. 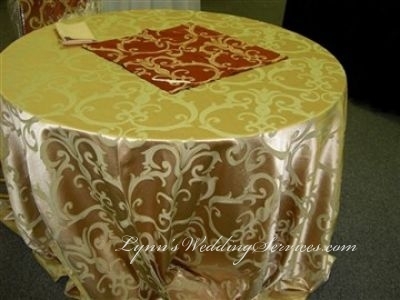 Lynn Wedding Services is a trusted name across San Jose, San Mateo, San Francisco and Fremont ca areas for table cloth rentals. 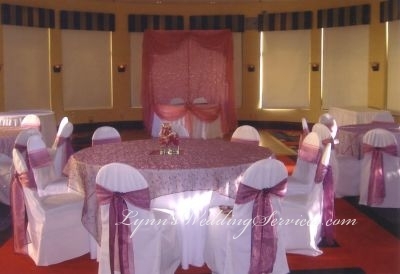 Lynn Wedding Services is more than just a place to get table cloth and chair covers rentals however. We also offer tents, canopies, table linens, wedding chair rentals, chair cover rental, china, flatware, silverware, centerpieces, wedding flowers, lighting and decoration and catering services in our immense range. Don’t be worried about any type of event we are capable of arranging and decorating any type and any size of events; we help you pick a location and our 24 hour support keeps the party running smoothly in the perfect way in San Jose, San Francisco, San Mateo CA areas. 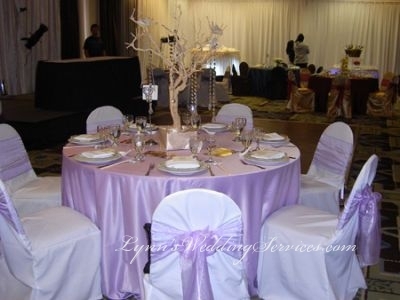 We offer all standard Polyester Material Wedding table cloth and linen in vast range of color and size. So place table cloth and linen rental order today and experience why our service continues to go matchless. 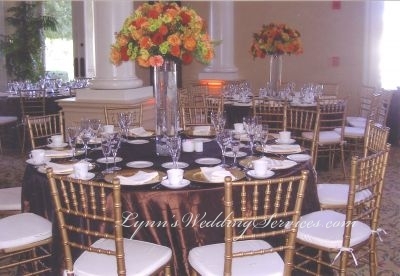 From a large corporate event, a wedding, to a small party or family event, Lynn wedding services help you with all your table cloth and linen rental, chair cover rentals, table and chair rental, party rental, Linen rentals and catering services requirements in San Jose, San Mateo, San Francisco and Fremont ca. We have a great selection of table cloths, linen, napkins, chair covers, chair bows, napkin ties and table accessories with 24/7 availability in a wide range of colors, designs and fabrics to create any theme best fit for your event in San Jose, San Mateo, San Francisco and Fremont ca. 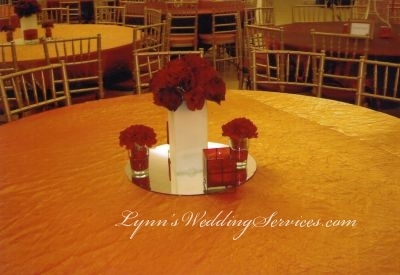 Event Planning, wedding flowers, chair cover rental, table cloth and linen rental, party rental solutions abound When You Turn to Lynn wedding services. 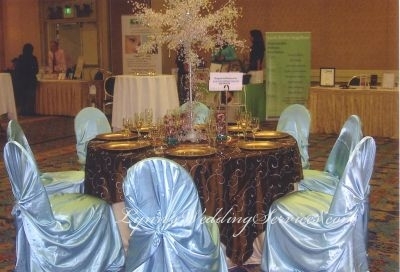 Our linens rentals are always available in a wide variety of colors and sizes. Our wide line of table and chair covers colors, sizes and styles will suit any occasion, plus we are adding up new inventory to our linen collection on continues basis. We are capable of creating custom made, couture items to give your event a different look. Our gracious and competent team will be delighted to support you over the phone, or by making appointment you can visit our showroom to see our full range of chair covers, table cloth and linen rentals. Please call our knowledgeable Sales Team for any questions, and/or to request a swatch catalog, proposal or sample in San Jose, San Mateo, San Francisco and Fremont ca. 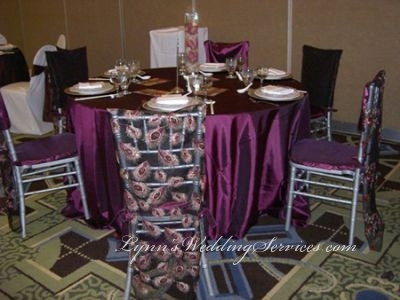 We offer many types of table cloths from pintuck table cloths to satin table cloths rental or silk crushed type of materials kind of table cloths. 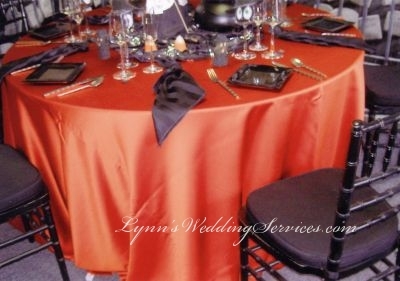 Our tables cloths come in many different sizes to cover half or to the floor length type of table cloths. 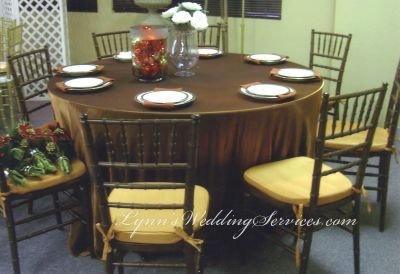 Lynn Wedding Services is a trusted name across the bay area rentals from San Jose, San Mateo, San Francisco and Fremont ca areas for table cloth rentals. 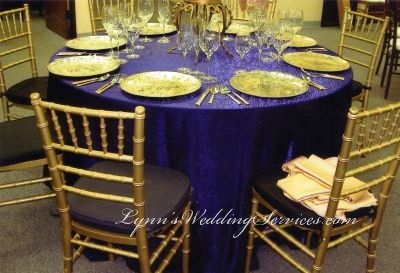 Lynn Wedding Services is more than just a place to get table cloth and chair covers rentals but we also offer table and chairs rentals, table linens, wedding chair rentals, chair cover rental, china, flatware, silverware, centerpieces, wedding flowers, lighting and decoration and catering services in our immense range. 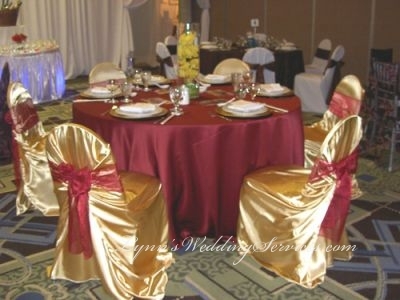 We offer all standard Polyester Material Wedding table cloth and linen in vast range of color and size. So place table cloth and linen rental order today and experience why our service continues to go matchless. 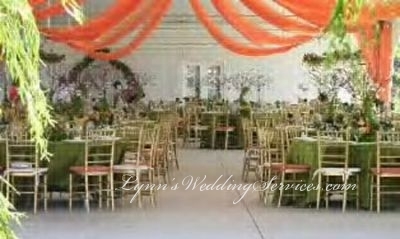 From a large corporate event, a wedding, to a small party or family event, Lynn wedding services help you with all your table cloth and linen rental, chair cover rentals, table and chair rental, party rental, Linen rentals and catering services requirements in San Jose, San Mateo, San Francisco and Fremont ca. 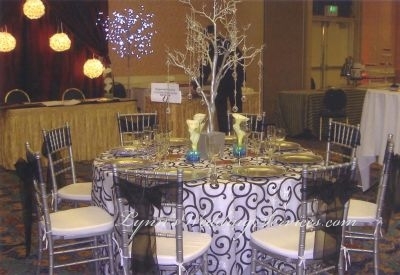 We have a great selection of table cloths, linen, napkins, chair covers, chair bows, napkin ties and table accessories with 24/7 availability in a wide range of colors, designs and fabrics to create any theme best fit for your event in San Jose, San Mateo, San Francisco and Fremont ca and the entire Bay Area. Please provide the table measurements before requesting a quote. 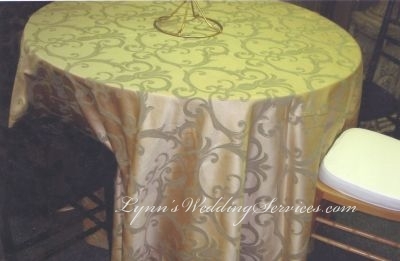 We can custom make all different type of wedding table cloths materials and table cloths colors per your request.